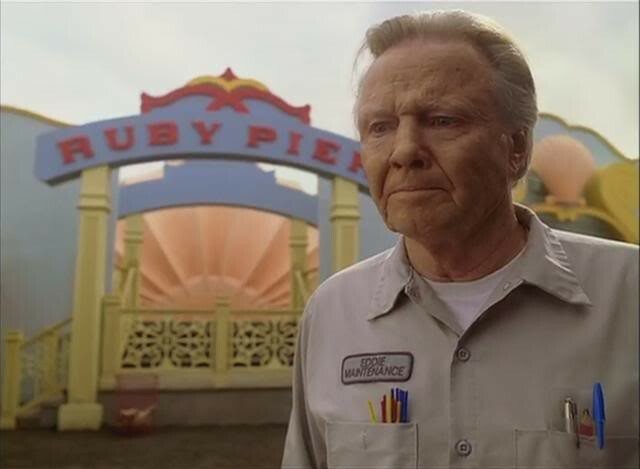 Eddie, an old war veteran, has had his whole life around the Ruby Pier Amusement Park. Unfortunately, Eddie takes his ticket to heaven, unexpectedly, while attempting to save a little girl's life from a plummeting cart from a ride. Eddie seeks his way to heaven and meets five whom follow up with reasons as to how and why he survived during times he almost died and they did not. Eddie's relationship between him and the Blue Man take back to Eddie's childhood. As clueless as Eddie was during his young in years, ran out in front of the Blue Man's car when he went to receive the ball. Luckily, neither young adolescent Eddie or the Blue Man was injured in the almost accident. However, shortly after missing Eddie, the Blue Man was so conflicted on possibly hitting Eddie accidentally that he lost control of the car and got into an accident. Unfortunately for the Blue Man, that accident brought him to his death. After explaining to Eddie the story on how he died and Eddie almost died, Eddie felt terrible. 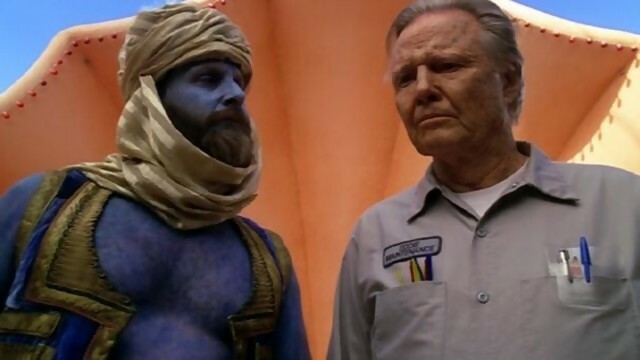 The Blue Man then consults with Eddie that "there are no random acts" and that they are all "connected." The second person Eddie meets in heaven is someone he did not expect to see; his commanding officer. As happy as Eddie is to see an old friend of his, he is confused as to how the Captain is his second person. 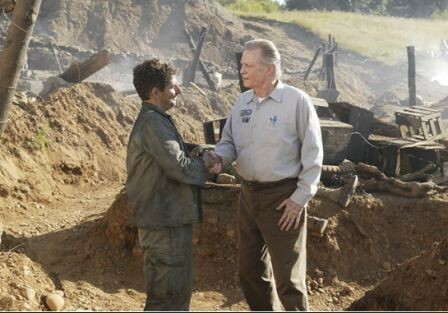 The truth comes out when the Captain tells Eddie that he was the one who shot him in the leg when Eddie almost went into the burning hut due to seeing a shadow. In relation to Eddie surviving and the Captain having his life taken to protect Eddie's, the Captain was executed when him and a few other soldiers were taking Eddie to a medical unit to treat his wound. Eddie thanks the Captain sincerely for saving his life and asked him if he was sad he died so young. in response to Eddie's question, the Captain replies, "Dying? Not the end of the world. We think it is. But what happens on earth is the only beginning." Eddie is bewildered when he sees an old diner he used to go to in heaven. Shortly after arriving into the diner, he meets Ruby. 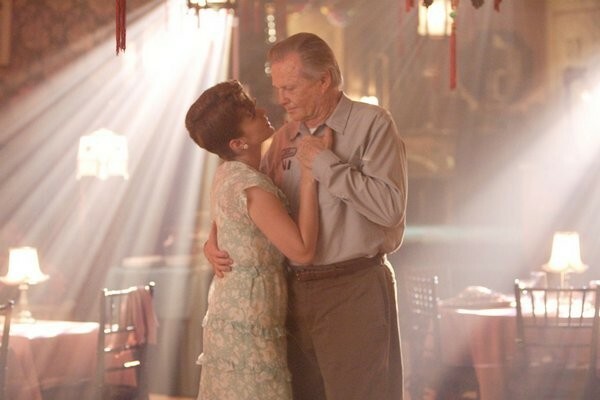 The first thing that Ruby teaches Eddie is, "things that happen before you are born still affect you," she said. "And people who come before your time affect you as well." Ruby explains that if she never met her husband Emile, the founder of the Ruby Pier, then there wouldn't have ever been the Pier and Eddie's life wouldn't have revolved around it. Marguerite, Eddie's wife, greets him in heaven after Ruby. A warming and relieving sensation fulfills his body as they hug. After Marguerite's death, all Eddie could think about was being with her; "life has to end," she said, "but love doesn't." "Memory becomes you partner. You nurture it. You hold it. You dance with it." After all of those years of thinking that there was something in the burning hut, the truth comes revealed. Tala was the shadow that Eddie saw in the hut when he was burning the area down that him and his military buddies were forced to live in for a period of time. Eddie learns that Tala touched Eddie's hands and brought him to heaven to keep him safe while he had the accident. "..that each affects the other and the other affects the next, and the world is full of stories, but the stories are all one."